My Lightroom Books > Where’s the Lightroom 3 Book? 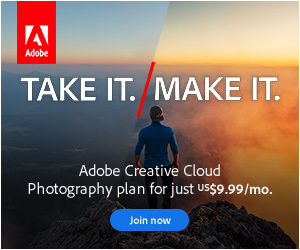 Where’s the Lightroom 3 Book? Thank you everyone for your emails. I’ve had stacks of brilliant feedback since the beta 2 rough cut book was released a couple of months ago, and some really good suggestions to make the book even better, so I decided to go back and make significant changes for the final release. I’ve been back through and rearranged all of the questions and chapters into a more logical workflow order, for those who are reading it cover to cover instead of using it as a reference. It works well both ways now. I’ve added quick-start information for newer users, in addition to the more technical questions, so there’s something for everyone. Most questions have been revised and rewritten to make the answers even easier to understand. There’s now an index in the back, which will be really useful in the paperback version. And you’ll be pleased to know it’s been professionally proof-read, so the typos are gone now too! More formats are also planned – the paperback will be available a few days after the PDF, and Kindle and ePub formats will follow. The new iBooks app update for iPad will read PDF’s later this month, which should retain the formatting better than its native ePub format. Anyone buying the existing formats (PDF/Paperback) will have free access to other digital formats too. All of that work put me a few days behind schedule, and I seem to have given up eating and sleeping for the last couple of months 😉 but it’ll be worth it. The final release is with the designers at the moment, having the final formatting finished off, so it won’t be long. 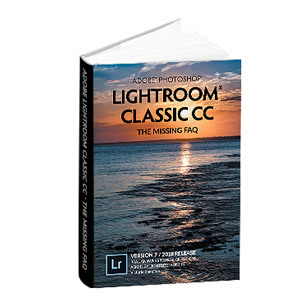 In the meantime, you can pre-order from https://www.lightroomqueen.com/lrqebook3.php and download the beta rough cut version today. Almost all of the information and instructions in the rough cut is still correct for the final release, as mainly just the lens corrections were added after beta 2. If you bought my LR1 or LR2 book, drop me an email at victoria@victoriabampton.com for a upgrade discount code. UPDATE 07 July 2010 – It’s DONE!!! It’s grown somewhat! The 2nd beta rough cut book was around 65,000 words, and the final release comes in at just under 105,000 words! I’m sorry I was slightly overly optimistic about how much I could get done in the time available. I had hoped to coincide with LR3’s release date, but the final design stages took much longer than I’d anticipated, so thank you for being patient, and I hope you agree it was worth the wait! Emails have gone out to all pre-orders with your download links, so if you haven’t received it, check your spam folder or email me, and if you haven’t ordered it yet, why not? If you’ve pre-ordered the paperback version, that’s off to the printers and should ship within the next 2-3 weeks, depending on their turnaround times. If you’ve moved since you placed your order, please let me know so I send your book to the correct address. The paperback version also has a full index in the back. That’s not needed in the PDF version as PDF software can search for specific words in the text, however at the request of a few readers, I am working on a hyperlinked copy of the index. That updated download, just with the addition of the hyperlinked index, will be available soon but I didn’t want to keep you waiting any longer. Hope you enjoy it! I’m sure you will! Thank you, Victoria. And, thank you for providing additional digital formats for free. Very nice way to exceed customer expectations. I’ve bought the book and downloaded the brief outline but would like to know when the LR3pdf final copy will be available. It’s been a couple of weeks since LR3 was released and there must be many many people wondering the same question. Keep it up Victoria, we’re all backing you 100%! I’m really looking forward to the final copy. Great works always take longer, but they’re worth it in the end.